I enjoyed this post and agree; the Law of Attraction works like another kind of gravity only you are propelling things toward you or away from you by your thoughts and emotions. Sandra Taylor has a couple of books on the topic; notably Act to Attract and Quantum Success. http://www.sandrataylor.net/ These may help you to explain the idea to your sister. Okay, So I was wondering if you can help. 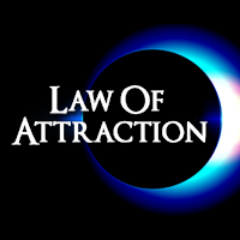 I 100% believe in the law of attraction on a conscious level. But I have somewhere along the line picked up some pretty negative and limiting subconscious beliefs. I have recently found a block that stops me from attaining the things I most want to achieve in life. Being you have a lot of knowledge in the field of energy healing I wondered if there is something I can do to remove this block. I have tried affirmations. Visualizations of my goal. I am now learning meditation, seeking experiences in lucid dreaming and the Astral plane. This block seems to happen to me when I care most about the outcome. I want to empty that coffee cup so to speak, but at the last minute things seem to go wrong no matter how much I focus on the desired outcome. When I don’t care about the out come at all, I see the law of attraction working easily. You’ve pretty much answered your own question :-). I’d like to take a moment to please requote your statements. Remember, your words are powerful and they, along with your thoughts, reflect how you view your life and the reality that you are creating for yourself. Firstly, release the baggage of discordant beliefs. The Law of Attraction dwells in sunny, happy places full of expectancy of great things to come. Release the belief that things are going to go wrong if you care too much about the outcome. Release the belief that things will go wrong at the last minute. 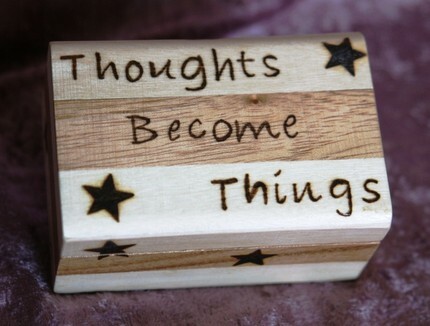 Even if it goes against the grain consider the fact that the law of attraction really does work. If you think things are going to go wrong, they will. Direct your energy to the positive aspects of what can go right instead of what can go wrong and keep your focus there. Do this everytime you revert to fear based thinking until it becomes a habit. Secondly, would you approach a meditation practice thinking about what the result end result is going to be?The whole idea of meditation is to release and let go.And so it is with the Law of Attraction. Focus on the object of your desire and have that in your mind’s eye. But do not “care”, or if I can correct you “worry” (because that’s what it really is), about how or if, or when it’s going to turn out. Worry is fear based thinking and stands in the way of absolute manifestation. Another tip. Ask yourself what your earliest memory of expecting something you wanted, and then things going wrong at the last minute , is. This memory could be the key to your block. You’ve clearly had some past experience which has created this belief in you and it could probably be your fundamental approach to everything in life not just manifestation. I understand nattietee. Consistent practice, examination and healing have given me good results with my own development and I’m sure they will for you too. Keeping my mind open and expectant of answers has led me to many an interesting insight and the opportunity to understand and work through many of my own blocks, conscious, sub-conscious or otherwise. Bringing the pain or trauma or block to the surface,or rather “remembering” it from a mind or body perspective, is really the first step to resolution. I’ll be writing more about it in my next topics. You’re so welcome dear…..stay tuned for more information and all the best with your manifestation!